30cm Custom Printed Balloons are the main stay of our range. 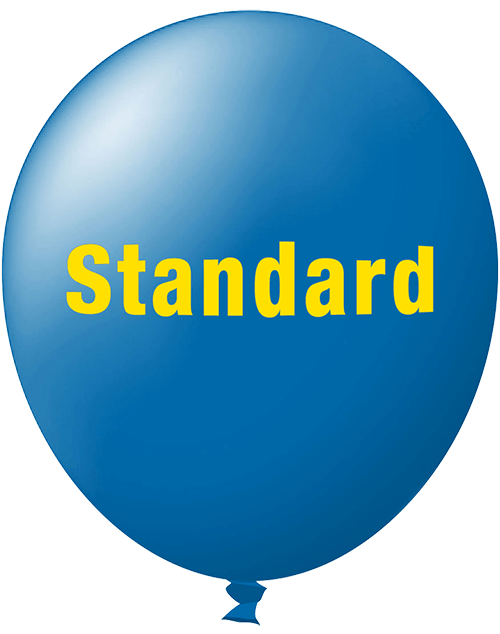 Our versatile 30cm latex balloon is created unique: a rounder body provides the branded balloons extra real estate for the logo, theme, or company slogan. The 30cm latex balloons are the most popular in the market place, providing approximately 90% of the promotional products industry requirements. They are available in a wide array of colours. Standard has 22 different bright opaque colours, Metallic are a solid translucent colours and has 21 colours to choose from and crystal latex balloons have more of a transparent or see through effect and has 8 different colours. All the 30 cm custom printed latex balloons are made from 100% biodegradable latex. Choose your 30cm custom printed balloons below. Check out our colour chart for a wide selection of colours for your custom printed balloons. (Standard) 30 cm balloons are available in a variety of 22 bright opaque colours, perfect for your next party or promotion. Click the (Standard) button below to select your Standard balloon colours and inks options. 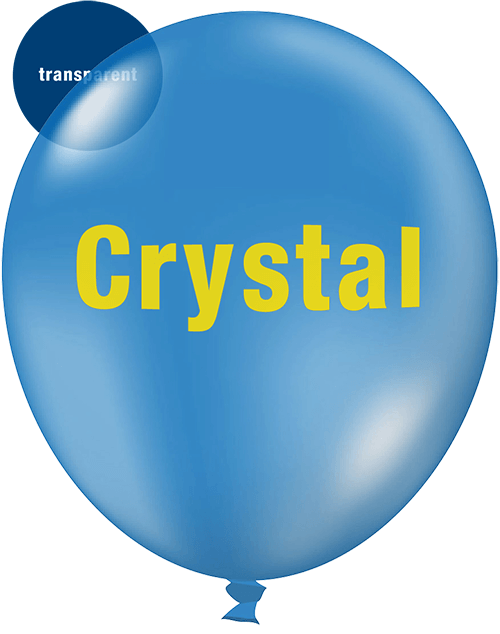 Crystal 30 cm balloons are available in a variety of 8 colours, Crystal Balloons have more of a transparent or see-through effect. Click the Crystal button below to select your Crystal balloon colour and ink options. 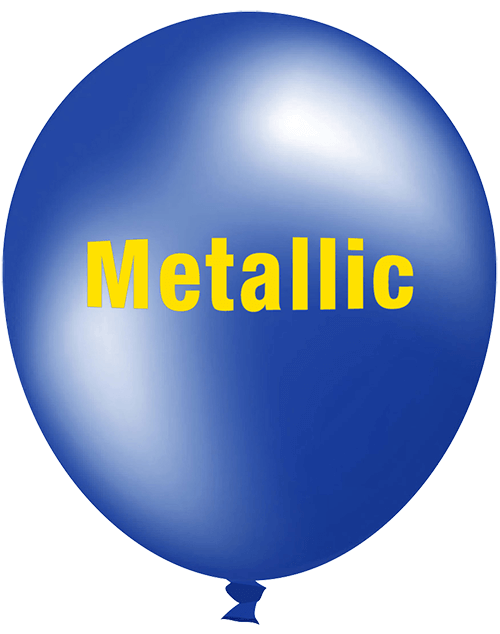 Metallic 30 cm balloons are a solid translucent colours, available in 20 bolder shades. Add a touch of sparkle to your party or promotion. Click the Metallic button below to select your Metallic balloon colour and ink options.